Car insurance rates vary across Canada, thanks to a multitude of factors. There are both public and private run insurance programs throughout the nation, with Saskatchewan, Manitoba and British Columbia relying on provincial run coverage, while the rest of Canada is privately insured, through multiple independent insurance companies. Generally, private insurance coverage has proven to be the most affordable option thanks to competition in the market, driving prices lower. Although this is not always the case in all provinces, it has proven to be the most effective method as a whole. 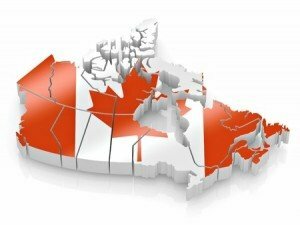 Below is a breakdown of the least expensive, to most expensive insurance rates within Canada and some facts about the auto insurance climate within each province. Cost has fluctuated drastically, with some year averages reaching as high as $1,468. Manitoba’s auto insurance system is run by the provincial government, much like Saskatchewan and British Columbia. Over the past few years, rates have been sitting around the $1,080 average, making the province the 5th most expensive in Canada. Insurance rates appear to be increasing in Newfoundland & Labrador, as they were considered one of the most affordable provinces in 2007, with rates averaging around $700 yearly. This rise in average annual premiums is a result of an increase of accident claims and vehicle related lawsuits over the past 5 years. Alberta is considered to have the second most affordable insurance rates in the country when considering the fact that insurance expense only accounts for 2.7% of disposable income. The most expensive insurance rates in Canada.